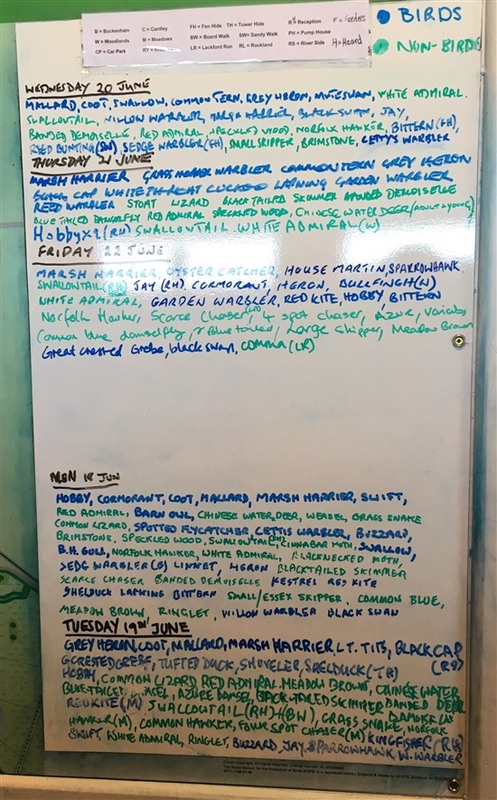 It is national insect week and I think we have done very well for them on the reserve this week! Swallowtail butterflies are still being seen across the reserve, today, while cutting the trails I saw one in the meadow, two along the riverbank near Tower Hide, at least three along Lackford Run and finally one in the nectar garden by reception, they were also seen in the woodland glades (due to the shelter from strong winds). White admirals have started emerging over the past couple of days. These are best seen in the areas that we have actively managed in the woodland, particularly the first section of the woodland trail. The places in which we have felled trees to create glades in the winter months has resulted in sunlight reaching the woodland floor, this has encouraged bramble to flower very well, providing the perfect sheltered nectar rich habitat that white admirals love…hopefully the silver washed fritillaries will be seen again in these location this year too. 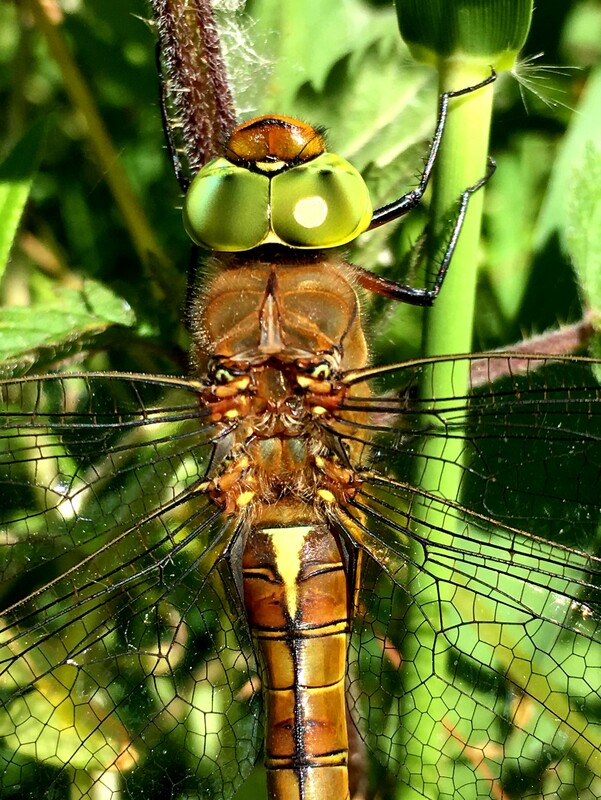 Dragonflies are abundant, with Norfolk hawker being the most abundant large dragonfly, scarce chasers are also here in good numbers. If this wind continues, they are concentrated into sheltered areas around the trails, today Lackford Run was the most productive area. Birds are doing what they do best in June, trying not to be seen! The passerines are all busy feeding young and not singing much during the day, especially in the warmer weather. Bitterns can be seen over the reedbed if you are lucky, we still have not yet confirmed any nests on the reserve this year so please do report your sightings to reception with as much detail as possible, this information is so valuable to us! Marsh harriers are being seen conducting their food passes across the reserve. Two hobbys were seen at the pumphouse track on Thursday alongside a red kite, sparrowhawk and two buzzards. 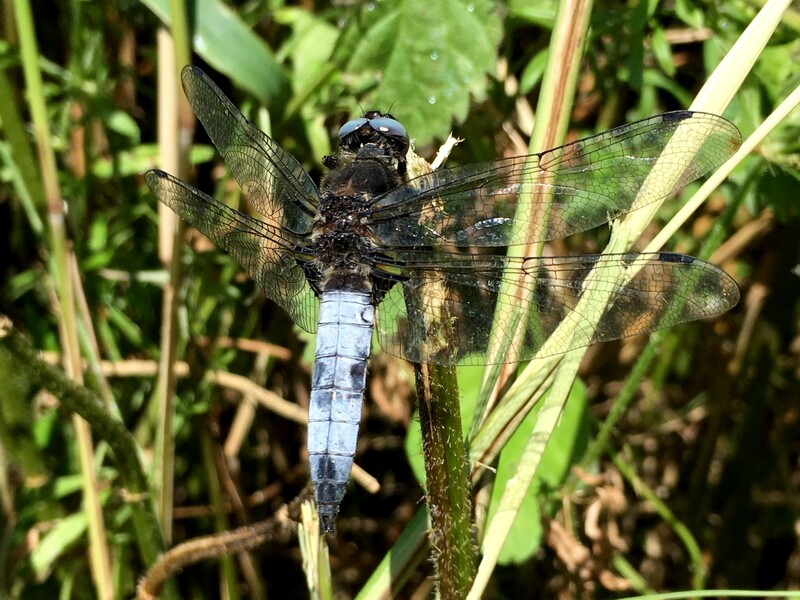 All paths are open and in good condition, so come on a great bug hunt of your own and see what you can find!